Labrador Puppies are cute and charming. All you need to know is how to care for them, what to feed them and what type of medication and place they need. So, Keep reading, you will find all puppies information here. Welcome to our Puppies Guide Page. Here you will find how to buy, care, feed and train your Labrador Puppy. 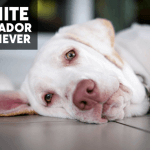 First, you need to decide that you really want a Labrador puppy? 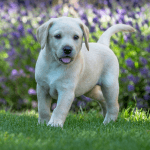 Before you buy your first Labrador puppy – Read this article – Things to consider before you buy a Labrador Puppy. Attention: Don’t rely on the size of a puppy, Labradors are among the heavy dog breeds. So, first make a proper space in your home and outside garden. If you live in an apartment you need a proper place there also. We update our this page frequently, keep visiting when you need latest and important information about Lab Puppy. Do you really want to Buy a Labrador Puppy? If you want to buy a Labrador puppy, you first need to consider all the things which are required for him. Make space in your home and also outside if there is a garden. You need to have spare time in your daily routine for him. 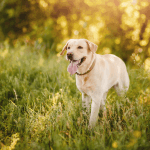 Labrador needs time for play and exercise. About 30-40 minutes daily exercise is necessary. 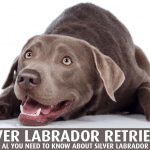 Learn all about Labrador puppy problems and how to solve them. Also get vaccination schedule. Make an appointment with Veterinarian when you buy a puppy, to check if he is normal. If you now finally decided to buy a Labrador puppy, then continue reading, we have much more information written below. When you buy a Labrador puppy, be sure he is healthy, note that not all puppies are normal, some have behavioral and temperament problems. 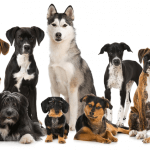 Choose a reliable breeder to buy a puppy from. All these information will really help you to choose a healthy and normal puppy. Also, be sure that you get the pedigree record because it is much important to check if your Labrador is pure-bred. Choice of color is personal preference. 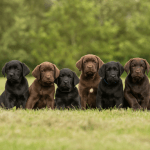 Labradors have three registered colors, Black, Yellow, and chocolate. There are also exist other colors like silver and fox red. Choose a color from the registered AKC colors. If you want something different then go for silver and fox red, but you may face problems while their registration. 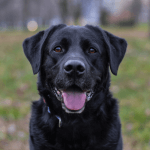 The black color is too common and now a day it has become famous because people think only black labradors are pure-bred because that color was first found and registered by AKC. Labrador ancestors were also black in color. 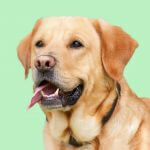 There is also an increasing trend of yellow and chocolate labradors. These labradors are less in number as compare to black labs. 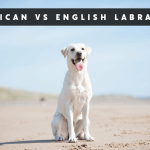 Silver and Fox red are totally different labrador colors. These colors are not registered by AKC directly. Carefully choose the feeding. The diet plan of puppy is different from adults. Puppies need healthy diet which helps them to grow normally. That is much important part of a puppy’s life. You must have to be very cautious and wisely care for your puppy. The most essential training of Puppy is to train him for potty. Then you can move to advance and complex training sections. If you did not know how to train him, don’t worry, we have step by step guide for learners. Please move to our training page. How to potty train Labrador Puppy? How to train your Labrador not to bite. The best age for puppy training is 6-8 weeks. So start the training from that age and get help from professional trainers if needed.